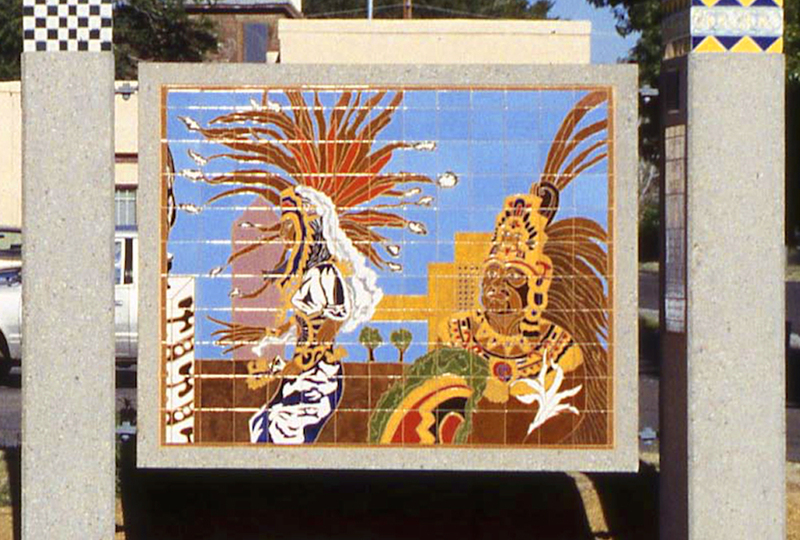 One side of this mural features Aztec dancers in traditional attire, juxtaposed against the contemporary skyline of Albuquerque. On the opposite side of the wall, modern-day Hispanic citizens are dressed for the office and stand in front of Mexican temples in Tenochtitlan. The juxtaposition recalls a glorious past, and the contemporary viewpoint reminds us that we are all combinations of a past and a present.